Words become outlawed, and people with different opinions soon accuse the other party of engaging in ‘framing’. Are the language police just round the corner? 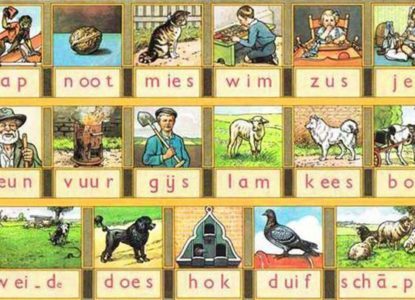 The Dutch in the East Indies inserted a lot of words of the languages they encountered into their own language. Sojourner Truth, the United States' best-known African-American woman of the nineteenth century, grew up speaking Dutch. The narrative of Sojourner Truth is one example of how widespread the Dutch language and culture were among African-Americans during the seventeenth, eighteenth and nineteenth centuries. Dutch has left traces in American English and even in other North-American languages. “Yankee” for instance is likely to have come from the Dutch double Christian name “Jan-Kees”. And read all about Santa Claus (Sinterklaas). Dutch studies is global: it is taught at some two hundred and twenty universities and institutes around the world. 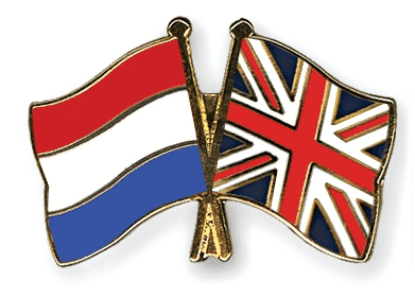 Collaboration in teaching and research is widely stimulated with the support of the International Association for Dutch Studies and the Dutch language Union. Daniel Hugo, South African poet and translator, was allowed to go to Flanders in 1983 (during the heyday of apartheid) to study at the university of Leuven. He tells us all about “his” Low Countries. The Flemish writer Tom Lanoye, a part-time inhabitant of the Cape for nearly twenty years, diagnoses South Africa. About Zuma, definitely not the new Mandela, the need of a different ANC and hope for –despite all the violence- a continuing, peaceful transition. One has good reasons to be confused by the names for the Dutch language, both in English and Dutch. The author brings some order in the confusion. 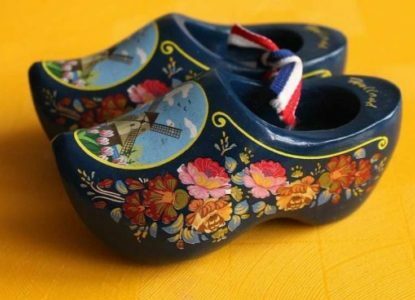 You will learn here everything you always wanted to know about: “Diets”, “Nederduits”, “Nederlands”, “Vlaams”, “Hollands” and even “verkavelingsvlaams”, a kind of colloquial in-between language spoken in Flanders. Belgian legislators fixed the language border in Belgium between Dutch and French in 1963. The border itself is of course much older than Belgium. The author thinks it is the task of all the Belgians to defend the language border in a friendly, democratic but decisive way. Because in Belgium, the language border is the foundation of the peace that all of the citizens want. This new history of the Dutch language is required reading for students of Dutch not just in Anglophone countries but all over the world. Perhaps the real puzzle is why there is so much variation. The small geographical area of the Netherlands and Flanders is home to hundreds of dialects according to some counts – some of them mutually unintelligible. The year 2014 saw the celebration of the best-known defining dictionary of Dutch, the Van Dale’s Large Dictionary of the Dutch Language. The author casts a look on its past and present, but also on its future. Due to changing social realities, the language landscape in the Low Countries has undergone rapid change. 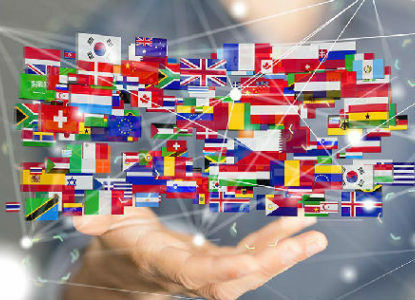 Increasing globalisation, explosive diversity and economic expectations all heighten the need to learn English as quickly as possible. The other languages are being pushed into a corner. While myriads of multiracial societies have developed throughout American history, it is generally assumed that the conscious framing of a mixed-racial American identity is a recent phenomenon that started in the late 1970s. It is not well-know that The American Tong Tong, founded in California in 1962 by the Dutch Eurasian ‘Indo’ writer Tjalie Robinson (1911-1974), was probably the first magazine in the United States to consciously advocate a multiracial identity. However, Robinson’s ambition to pass Indo culture and identity over to the next generation was largely abandoned by Indos in America. What remains is Robinson’s written legacy with a fascinating wealth of ideas about identity issues that only long after his death achieved prominence in Dutch and American society. Although Afrikaans is South Africa’s third most spoken home language (after Zulu and Xhosa) and has been operating in a non-dominant juxtaposition with the nine other official indigenous languages since democracy in 1994, its position and de facto status are largely undervalued. Moreover, the language remains stigmatised in certain quarters owing to its association with the previous apartheid regime notwithstanding its inclusive profile with the majority of its speakers (both first and additional speakers) being non-white. Afrikaans is clearly at a crossroads, at a point where significant domain loss is impacting the vitality of the language and hence its status and position in society.